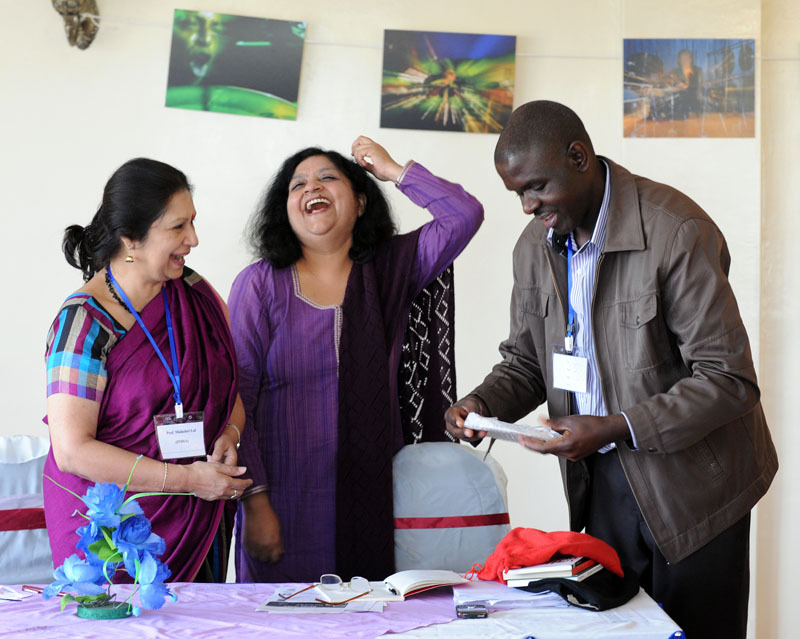 The international poets who participated at the 1st Kistrech Poetry Festival in Kenya 2013 included Professor Malashri Lal (University of Delhi, India), Professor Sukrita Paul Kumar (University of Delhi, India), Professor Pornpen Hantrakool (Thailand), Professor Lauri Garcia Duenas (Mexico), Professor Arif Khudairi (University of Cairo), Professor Jasonas Stavrakis (Cypress), Sarah Poisson (Lithuania) and Vytautas Suslavius (Lithuania). From South Africa we had the journalist Indra Wussow of the German radio and the famous spoken-word artist Asanda Vokwana and her two sisters. From Zimbabwe we had the poet Tendai Maduwa, and from Nigeria we had the published poet Onarinde Fiyinfoluwa. The Kenyan poets who participated included, among many others, Peter Onyancha, Dr. Evans Nyamwaka, Dr. Fred Mbogo, Osebe Soko, Simon Oyatsi and Amos Tabalia. The Kenyan spoken-word artists—Steve Biko, Sarah Wairimu and Ken Kibet—added local flavor to the event. Unlike other international festivals that confine poets in concrete urban buildings, this one exclusively intended to take poetry to the people . One way of making the people part of this event was the inclusion of school students. Every evening from 4.00pm to 7.00pm the poets read poetry at Kisii Boys High School, Nyabururu Girls National School, Cardinal Otunga Boys High School and Gianchere Mixed High School. In turn the students showcased their talents in poetry, spoken-word, rap and dance. The afternoon, of Thursday 1st August 2013 was spent at Kisii University, in Sagini hall. The festival also took the poetry event to the village. At the village, just as it was intended, the poets interacted and learned local people’s culture, customs and traditional practices. The visiting poets participated in the oral poetry of the Abagusii people. They participated in the eating of indigenous foods and drinking traditional brews. They took photographs of the villages and learnt few words in the local language. Some children were even named after the poets. One boy-child was named Arif after a visit to their home by the famous Egyptian poet, Professor Arif Khudairi. A girl-child was also named Hantakool after the famous Thai poet, Professor Porpen Hantakool. The unique part of this festival was the visit to Lake Victoria & Nakuru Game Reserve where poets read their poetry together.